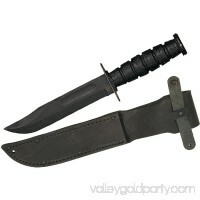 No outdoor explorer should be without an excellent knife. 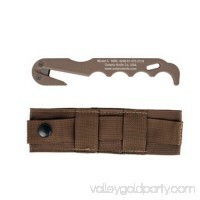 Stay prepared for whatever you may encounter on your adventures with the El Morro Knife by Buck Knives.. 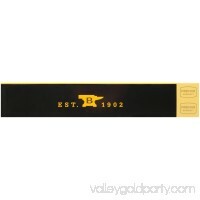 The Great Neck Saw 12116 2-1/4" Mini Lock-Back Utility Knife will help you carry your projects to completion. 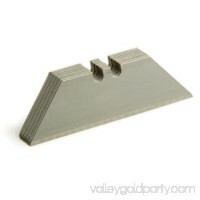 It opens simply, with just one hand, making it ver.. 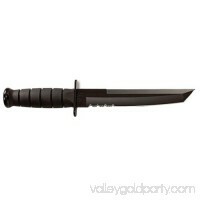 The Tanto blade shape of this Ka-Bar knife, of Asian influence, has a thick pointed blade that's good for penetration. 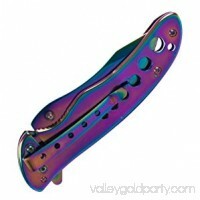 Coupled with a glass-filled nylon sheath ..
Have a handy tool within reach wherever you go with this beautiful Whetstone The Arc Rainbow Folding Knife. 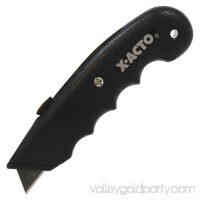 The titanium-oxide anodized process gives the Arc it..
X-Acto Retractable Utility Knife is a basic but effective box cutter knife. 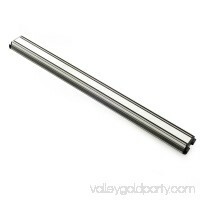 Designed to cut through heavy-duty materials, this retractable utility knife is a r..
Our magnetic knife bars grip securely, yet easily release knives, kitchen gadgets and tools.Features permanent extra strength magnetism. Perfect for kitchen, wo..
Titan 11034 10pc Utility Knife BladesdetailedDescription":"10pc Utility Knife Blades Model：11034_43Brand：TitanManufacturer Part Number：11034_43 Titan 11034 10p..
Down behind enemy lines? Left to fend for yourself? These are the scenarios that inspired the LMF II. 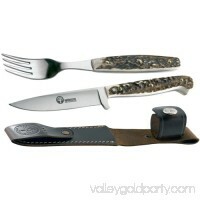 A former military man led the charge to engineer this fear..
Eat meals cleanly while roughing it in the wilderness using the Boker Arbolito Knife and Fork Set. 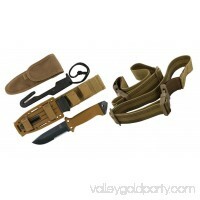 They feature genuine stag handles and include a belt sheath f.. 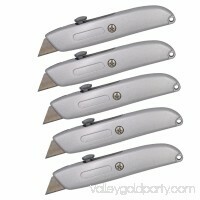 Durable, 6-1/2" InstantChange Retractable Knife delivers ultimate precision for a variety of tough cutting tasks. Cast metal housing survives tough environments..
Non-reflective, zinc phosphate-finished bladeHardened to 55-58 HRCWeather-proofed leatherThe 498 Marine Combat Knife made by the Ontario Knife Company is issue..
Wideskall Heavy Duty Box Cutter Retractable Blade Metal Utility Knife Brand：WideskallMaterial：MetalColor：Silver Wideskall® Heavy Duty Box Cutter Retractable Bl.. 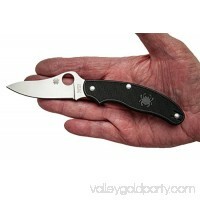 The Spyderco UK Penknife FRN Plain Edge Knife has a fiberglass-reinforced nylon handle. 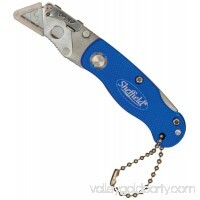 Designed for control and comfortTension-wire clip carries deeply in pock.. 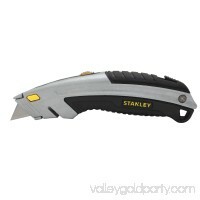 The STANLEY retractable utility knife is easy to find in your toolbox or work area. 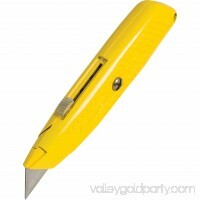 Its interlocking nose securely locks together the knife halves for precise c.. The Ontario Knife Strap Cutters are cutters designed to separate a passenger from a vehicle's safety belt in seconds flat. 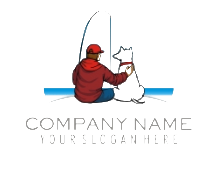 Thin and lightweightCan be attached t..